I thought this one was great too. I read a lot of chick lit around 2005/2006 and read all of Kinsella's books. This was by far one of the best. I have never read this though I liked her shop-o-holic series...not very surprised this is good too. Thanks for the review. I tend to like Sophie's stand-alone books better than her Shopaholic books, and this book was so cute and funny at times, too. I really loved Emma! I really loved this movie so perhaps I need to read this book! Molli - I like her stand-alones better as well! Somehow I never got into the Shopaholic series. Amused - There's a movie?? Seriously??? Why didn't I know this? I think the *only* one of her books that I didn't swoon over, was "Remember Me" - other than that- Kinsella books are as comforting as grilled cheese on a cold day and as fun as a night out with your best girl-friends. Thanks for this review! I just started reading chick lit and this one has been added to my list. literarywife - Yay! Hope you enjoy it! I've been in the mood for a comfy chick-lit to read, and this one sounds like just the thing! 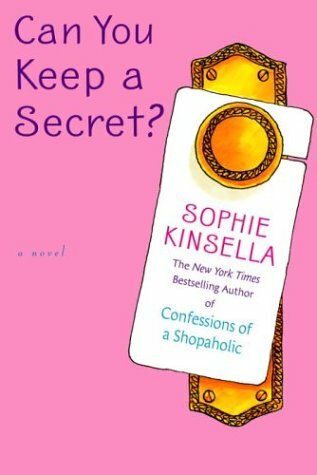 I have to say, I've never read anything by Sophie Kinsella, but that may be about to change!